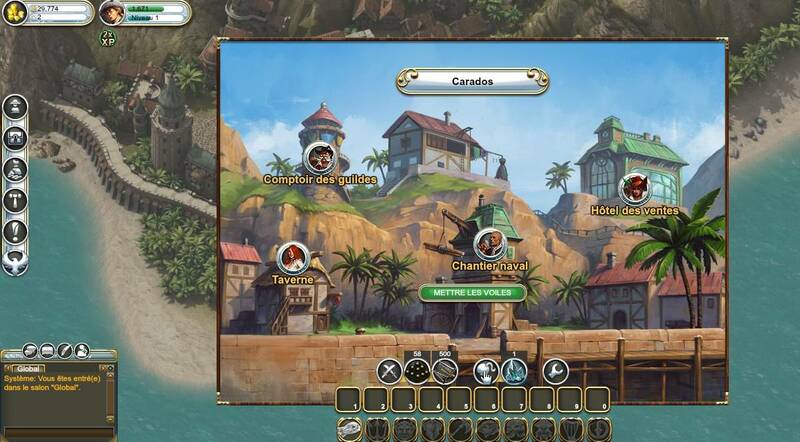 Pirate-themed browser MMO - Sea battles in full pirate style: sail through diverse maps and sink enemy ships in this free-to-play game. The simplicity of Pirate Storm allows you to start participating immediately upon registering. The first thing that the tutorial will teach us is the combat system, and then it will progressively dig further into the additional complementary benefits of the gameplay experience it has to offer. A glimpse at the atmosphere of Pirate Storm. 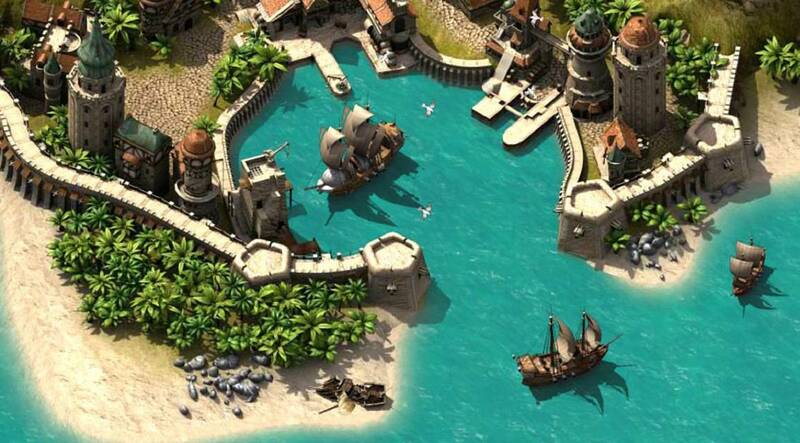 The most important thing for a succesful pirate is his ship. 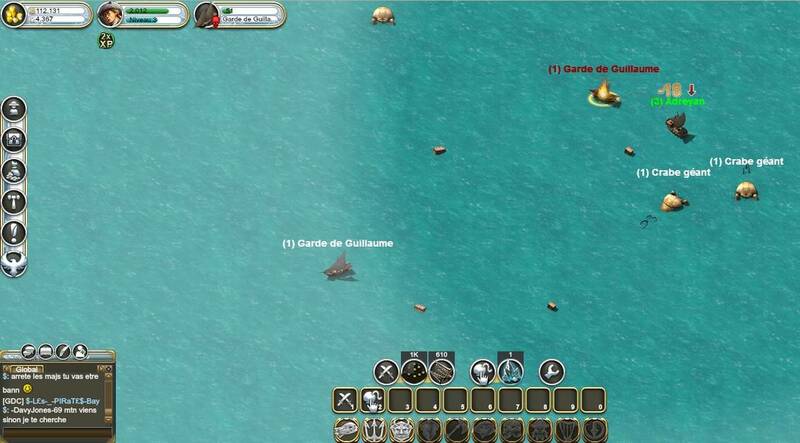 In Pirate Storm, you can always enhance the starter ship, not only through its online store for real money, but also through the gold you can loot throughout the gameplay, which will allow you to purchase better equipment. It's worth noting that, as new enhancements are applied to the ship, it becomes heavier and moves much slower to compensate the strength it gained. This serves to balance the game, so that those better equipped may not always end up winning, because their success doesn't really depend on their mods, but rather on their own skills and how they manage their own leveling. Some passive skills will allow players to boost their ship's speed and regenerate HP, wield shields and defenses, or increase their damage for a specified period of time. Active skills can turn out to be equally challenging for eventual foes, since they can provide an enhanced DPS and special abilities. Unfortunately, one of Pirate Storm's greatest failures is that it can turn out quite repetitive when it comes to missions. This is possibly one of the most generalized errors in the development of MMOs that occurs when they try to fill the gaps by sending players to defeat countless enemies, but fail at making them feel involved in a story that effectively motivates them to continue playing. A PVP battle in Pirate Storm. Pirate Storm has a rather simple UI that rarely leads to any confusions. It gets started with an easy and fast tutorial in which you can quickly learn the basics of the game. 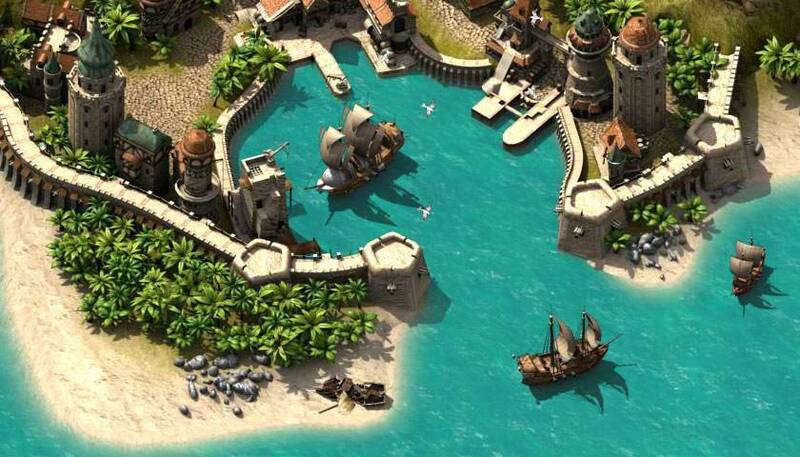 Once it's completed, you're sailing on the sea on your small ship, ready to attack any sea creatures and enemy ships you see, loot diamonds and gold to mod and upgrade your weapons and ship, and even purchase entirely new ones! The controls are relatively easy to handle, and its learning curve is even rather mild. 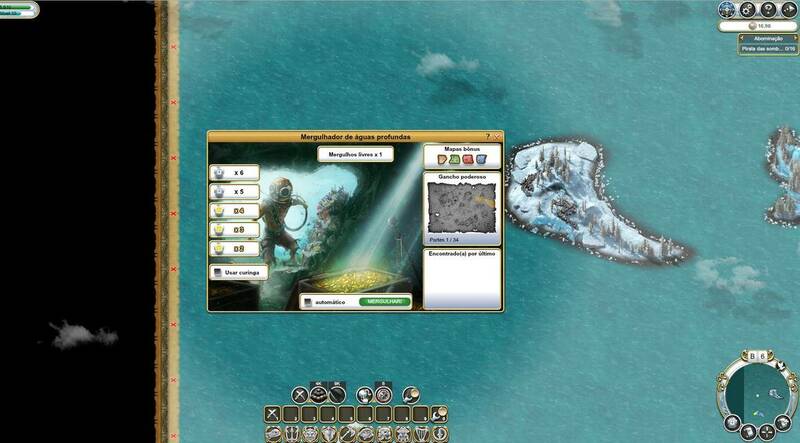 Thanks to the UI provided by BigPoint, which can be customized according to the player's preference, users aren't really forced to depend on the initial tutorial to play. 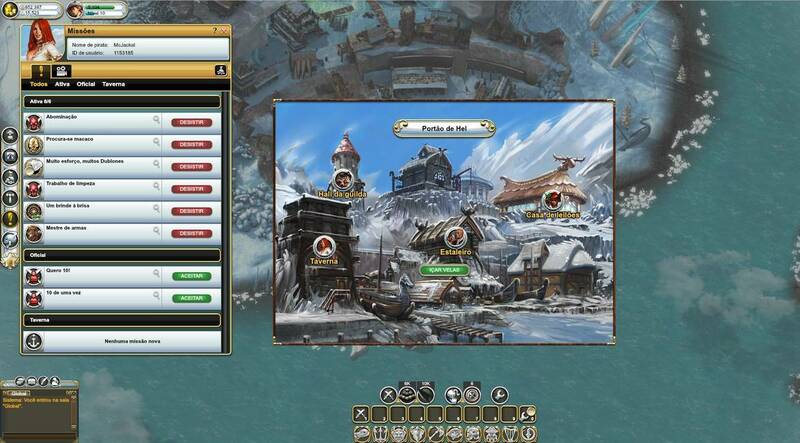 Players can engage in PVP and duels from the beginning simply by inviting any other player they see on the map. Once the other one has accepted, both will be sent a private message for them to choose which skills, consumables, and attacks they'll use against each other. Pirate Storm also offers strictly PVP zones where players can go to destroy other ships... or be destroyed themselves! Once players reach their highest level, they can join guilds or build their own from scratch, so that they can declare war on other Brotherhoods to destroy their bases. 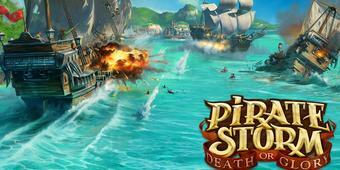 Pirate Storm also offers strictly PVP zones where players can go to destroy other ships... or be destroyed themselves! 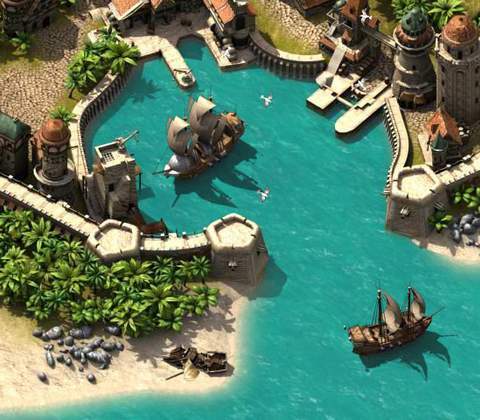 Though Pirate Storm is a browser MMO game, BigPoint managed to develop colorful, detailed, and aesthetically pleasant environments without them being necessarily overwhelming for users, which remains rather loyal to the gameplay it offers. Any modern device and browser with Adobe Flash Player installed can support it, and the main menu allows to customize the graphic quality if required. Will your ship destroy others, or be destroyed instead? Pirate Storm provides a remarkable fantasy ambience with a clean UI, along with the supportive BigPoint's community that's been there from the start. It also offers diverse gameplay modes, combined with PVE and PVP, that allow players to socialize through the Brotherhoods. The core issue isn't so much about the gameplay, but rather about the missing chance of story and dialogue development that could have been better for a pirate-themed MMO, which doesn't get any better with the continuously repetitive missions. 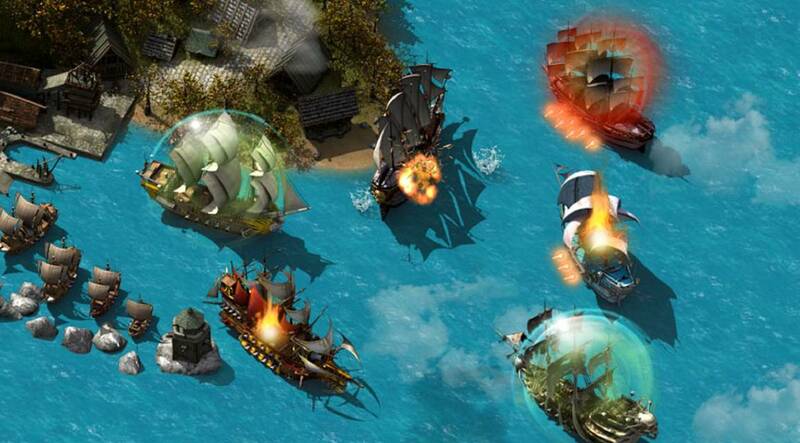 Pirate Storm provides a remarkable fantasy ambience with a clean UI, along with the supportive BigPoint community. The enormous map features countless zones to explore, though it doesn't seem as if BigPoint had properly exploited it enough. However, the progressively-introduced daily side missions can be rewarded with bonuses to give it a little extra every day. Regardless of its weak points, Pirate Storm's most loyal player base keeps it alive in time. BigPoint also updates it constantly, and the community is not only active, but also friendly and helpful, which guarantees fun moments in your spare time and possibly even new friendships if you join a clan! Ready to enter the world of Pirate Storm? Click here to play now! 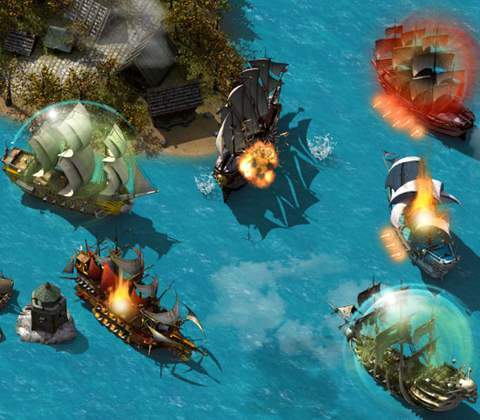 Compared to Seafight, the other browser game by BigPoint that follows the sea theme, there are not so many differences to be found. However, the vast customization options and graphical improvements can make Pirate Storm seem much better and detailed than its predecessor.